I don’t think of myself as a huge fan of fusion food, whatever that is. I like a certain harmony in the flavors of a meal, and I think that can be harder to achieve when you bring wildly diverse cuisines onto the plate at once. But every once in a while I go there. And every once in a while it works. Take this pizza. This entry was posted in DIY, Emmy Cooks Original, Food, Mexican Flavors, Pizzas and tagged cheese, fall, pizza, summer, tomatillos on October 12, 2012 by emmycooks. We haven’t made a pizza on this blog in a dog’s age. Too hot to turn on the oven, you say? Not in Seattle. It’s 63 degrees outside at the moment. Once it gets up to 70 I’ll try to work up my nerve to start making pizzas on the grill instead–any tips for me in advance? But first, this. A mushroom and olive pizza has a special place in my heart. Growing up, my dad (and sometimes my mom as well, but mostly my dad on nights when my mom was elsewhere) would take us kids out to a local pizza parlor. Red pleather, arcade games, a window where you could watch the guys toss dough and pile on toppings. 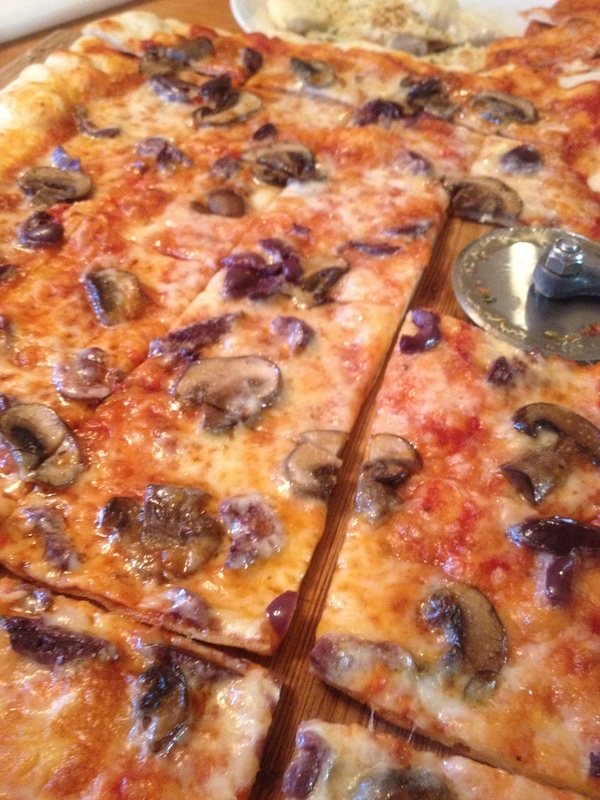 We always got a mushroom and olive pizza and a pitcher of ice-cold root beer. It was, in the parlance of the day, so awesome. 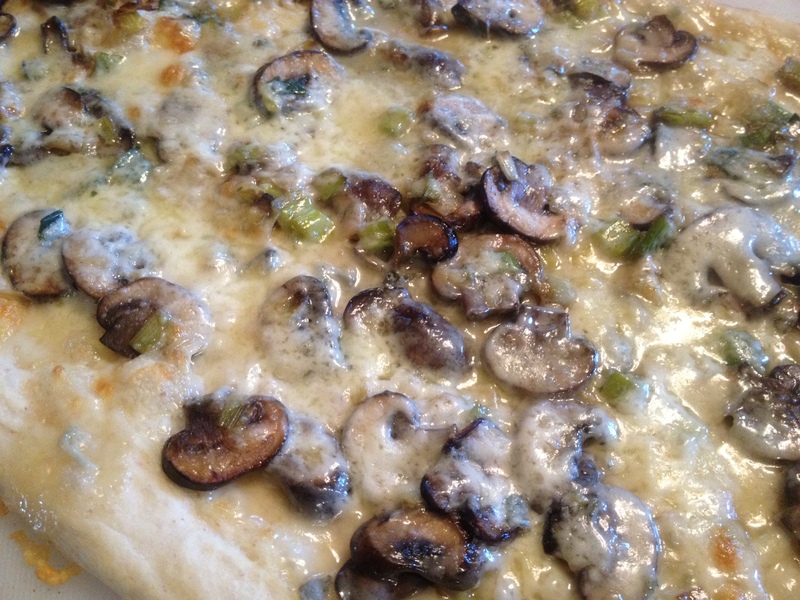 This entry was posted in Baking, Feeding Kids, Food, Pizzas, Recipes and tagged dad's night, kids and restaurants, ms. pac man, mushroom, olive, pizza crust, pizza parlor on June 18, 2012 by emmycooks. It’s been much too long since we’ve had a pizza recipe on this site. Weeks! 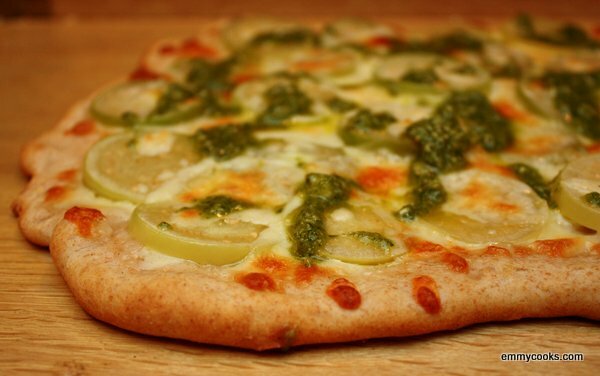 I hope that you’ve been carrying on with your weekly homemade pizza night–do you have one of those? If not, do you have another special meal that you serve on a regular basis? 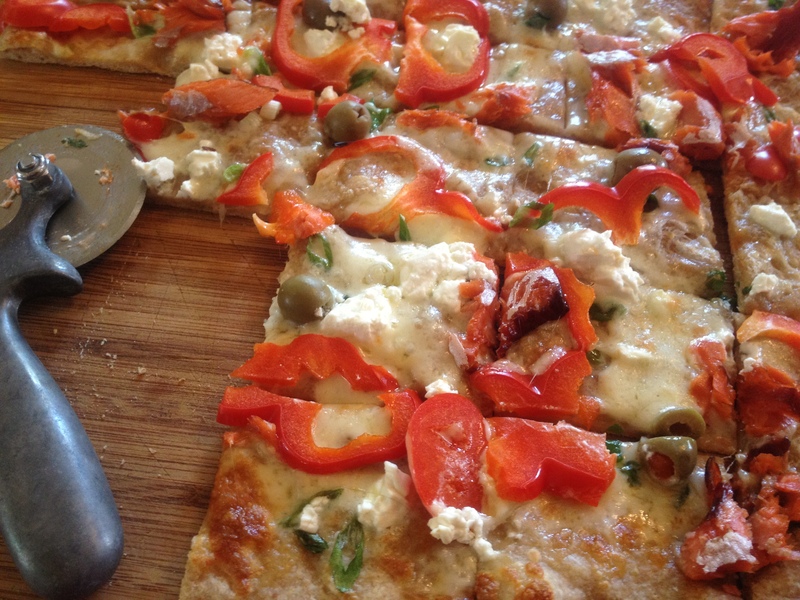 Whether homemade pizza is an occasional or regular indulgence for you, here’s a recent favorite of mine. 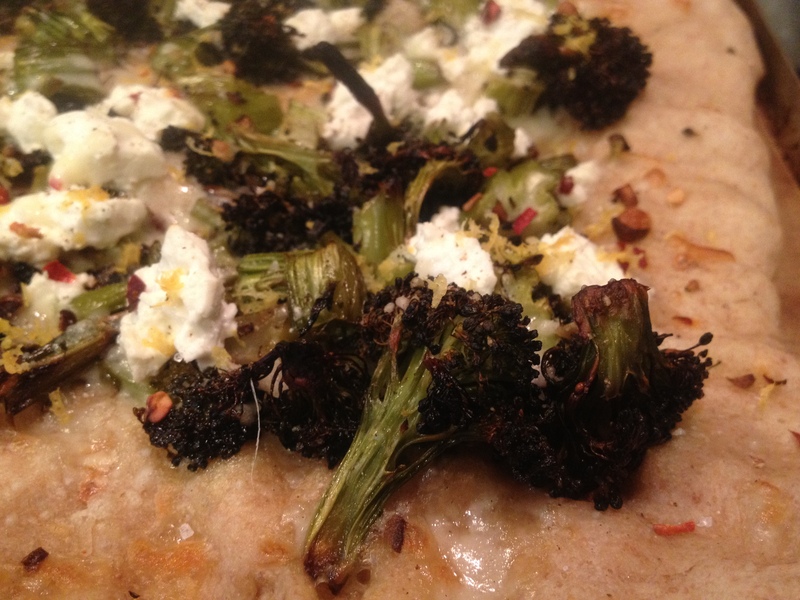 Roasty-toasty broccoli, creamy-salty feta, perfect saucy egg on top. You might have to work on the timing to get your egg cooked perfectly to your liking, but in my setup (long-preheated 550 oven, hot pizza stone, thin homemade crust) the egg is still just perfectly runny at the moment that my crust crisps up, after about 5 minutes in the oven. Now that’s good fast food. 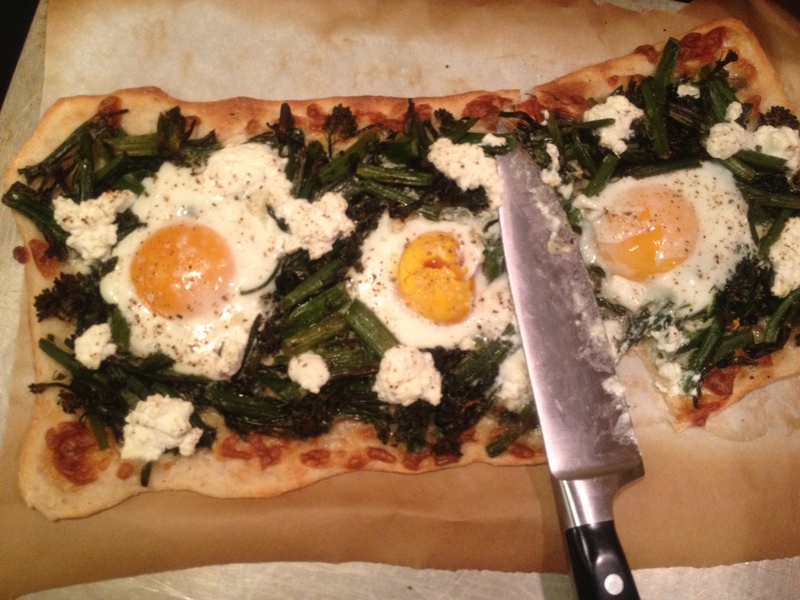 Sunnyside-up pizza not your thing? Have you noticed that pizza has its whole own category over there on the sidebar menu? Click it for more pizza inspiration! This entry was posted in Baking, DIY, Eggs, Pizzas and tagged baking, cheese, cooking, dinner, DIY, eggs, family, food, homemade, kids, lifestyle, pizza, recipes, vegetarian on May 7, 2012 by emmycooks. I can never resist the cheese counter at my local co-op. It has a small selection of cheeses, but they’re meticulously curated by a cheese enthusiast whose palate seems in tune with my own, and I always love everything he recommends. Last time I was in the store I browsed by myself, however. I know I probably should have chosen a cheese based on the type of milk used, or the region from which it hailed, but I will admit to having used one criterion only to select this cheese: its name. Oregonzola. Isn’t that cute? See how they did that? A blue cheese, a local spin, a clever pun, and I’m sold. And it was quite nice, I must say. It’s the weekend, so make your pizza crust today (recipe here) to have it handy in the fridge for a speedy weeknight dinner. This entry was posted in Baking, Dinner, DIY, Pizzas and tagged baking, cheese, cooking, dinner, DIY, family, food, homemade, kids, lifestyle, pizza, recipes, vegetarian on April 15, 2012 by emmycooks. Sometimes making a great pizza requires the preparation of many sub-recipes: a sauce, cooked vegetables, a drizzle of reduced vinegar. This one, though, is fresh and light, a springtime pizza. And it can be in the oven in minutes. Start preheating now. This entry was posted in Baking, Fish, Pizzas and tagged baking, children, cooking, dinner, DIY, family, fish, food, homemade, kids, lifestyle, pizza, recipes on March 25, 2012 by emmycooks. I know we all made no-knead bread for a while there, and I saw the no-knead pizza dough recipe in Bon Appetit last month. But it wasn’t until today that the recipe began to really intrigue me. Because today, the “Genius Recipes” feature that I love on Food 52 proclaimed that “not-kneading pizza is even simpler than not-kneading bread.” What the…? If anyone has made both the no-knead bread and the no-knead pizza dough, can you please explain to us how not kneading one is easier than not kneading the other? Thank you. And, hey, if you’ve made the pizza dough, how was it? This entry was posted in Baking, My Favorite Recipes, Pizzas and tagged baking, cooking, dinner, DIY, family, food, homemade, kids, lifestyle, pizza, recipes, vegetarian on March 20, 2012 by emmycooks. This post is not about potato pizza, however. Because after J roasted a pound of thinly-sliced fingerling potatoes until nearly crisp, I made the mistake of piling them within the children’s reach, where the heap of “chips” was quickly decimated. So I’ll give you a recipe for potato pizza another time. 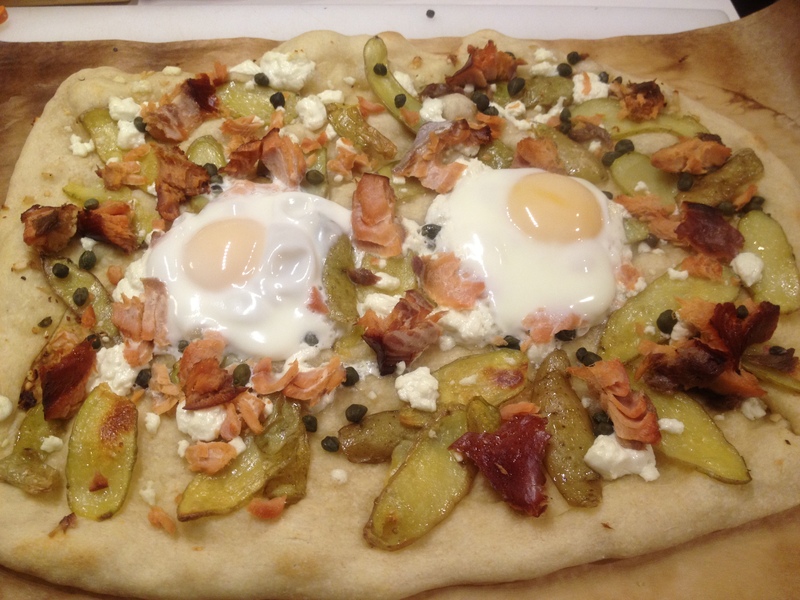 Left with only a handful of potatoes, it was back to the fridge, and this Sunny Side Up Pizza was born. Crank your oven as hot as it goes and put in a pizza stone if you have one. Layer your thin pizza crust (recipe here if you want one) with thinly-sliced potatoes (first roasted at 425 until just beginning to crisp) and a sprinkling of mozzarella. Pile on chunks of goat cheese and a big handful of rinsed capers. We crumbled on some smoked salmon, but you could skip that step and just go with a big sprinkle of salt over the whole pizza if you prefer. 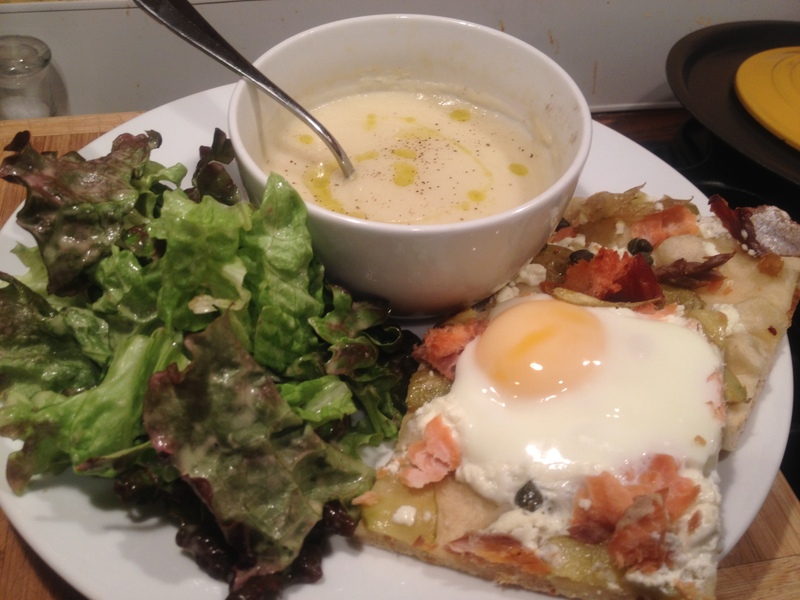 Finally, we broke two eggs over the pizza, but they were so good that we later wished we’d used four. Getting the eggs perfect will depend on your oven temperature and how thin you stretched your crust (because that has to cook through, too), so you might need to experiment a little. Baked in our oven at 550 for almost 6 minutes, the whites were set and the yolks were lusciously runny, perfect for wiping up with the last piece of pizza crust. We served the pizza with a simple green salad with Creamy Pear Vinaigrette and bowls of leftover Cauliflower Soup–which, like most soups, was even better after a day in the fridge. This entry was posted in Eggs, My Favorite Recipes, Pizzas and tagged cooking, dinner, food, kids, lifestyle, pizza, recipes, vegetarian on January 23, 2012 by emmycooks.